Bob has been a member of Sheehan Phinney since 1992. Prior to that, he served from 1981 to 1992 in the New Hampshire Attorney General’s Office. During his tenure Bob worked in the Attorney General’s Environmental Bureau and was chief of the Environmental Bureau from 1984-1988. 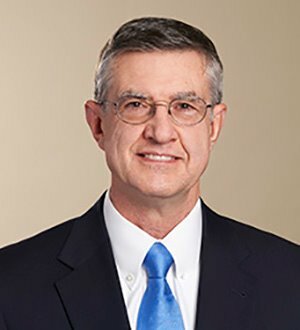 While Associate Attorney General from 1989-1992, Bob also served as general counsel to the Pease Development Authority (PDA) and the Pease Redevelopment Commission (PRC). His responsibilities included working with state agencies, the USAF, FAA, GSA, EPA, and the NH Congressional Delegation to establish policy, procedures, agreements and documents for the first Department of Defense base closure (Pease Air Force Base) under the Base Closure and Realignment Act of 1988. He also served as the primary drafter of legislation creating the PDA and PRC; negotiated leases with prospective PDA tenants and prepared related legal documents; negotiated for the State the Pease Federal Facility Agreement under CERCLA; coordinated ongoing environmental compliance issues related to NEPA, CERCLA and CAA for the PDA; and assisted the Executive Director in daily agency management including strategic planning, hiring of consultants and personnel, and coordination with federal agencies. Since coming to Sheehan Phinney, Bob’s practice has focused on regulatory matters, primarily relating to environmental and energy permitting and compliance, governmental affairs, and international trade licensing and compliance.